To make our future - young kids - aware about this amazing development, Lawrence Hall of Science has made this immensely rich and well timed ‘DIY Nano HD app; available for ipad as well as for the iPhone. This app is a collaborative work of Lawrence Hall of Science, Sciecenter, Emily Maletz Graphic Design, NISE Net and is funded by the National Science Foundation. This app offers great learning experience through rich videos and interesting, fun activities. These resources are not only filled with deep and engaging materials, but are sprinkled with great, thought provoking questions for a deeper insight. Apt, fun and highly imaginative for the young minds with their neurons still at an early, formative stage. The companion website, whatisnano.org, is literally a treasure trove for all things nano. Relevant, current and rich; you can find videos, audios, games along with the wider perspective on new potential products and their impacts on society, as well as DIY activities. 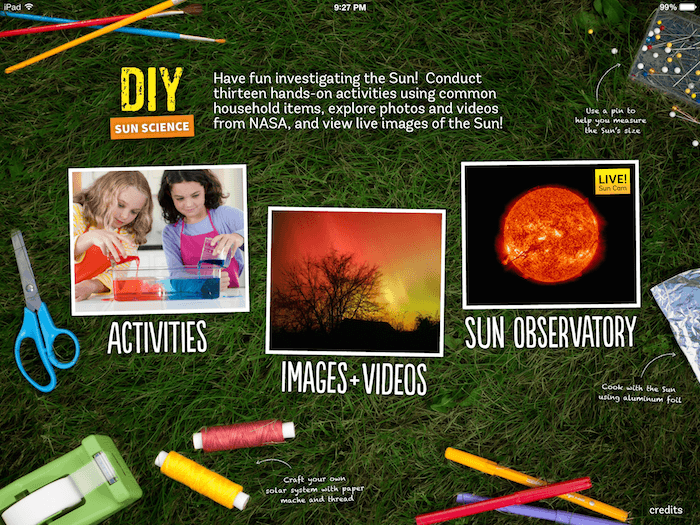 These activities are all downloadable as PDFs and are free to share with the world! The website and the app together is a fantastic combination to explore, investigate, think and learn about the nano universe- the surprising ways in which things act, special tools needed to work and, the potentials of nanotechnology to transform the way we live. Required materials are easily available and, are inexpensive. Many of them you already have in your homes! The videos are family friendly. I would rate this app as one of the best go to place to enlighten our kids about science at the bleeding edge, a must have resource for every science teacher and all bright parents; simply superb!